Since the very first constructions, lime has been a basic element of many activities. Fives, a recognized performer in the minerals industry, brings tailor-made, pioneering and energy efficient combustion solutions to the lime industry. Fives designs environmentally friendly combustion solutions to produce high quality quicklime in rotary kilns. 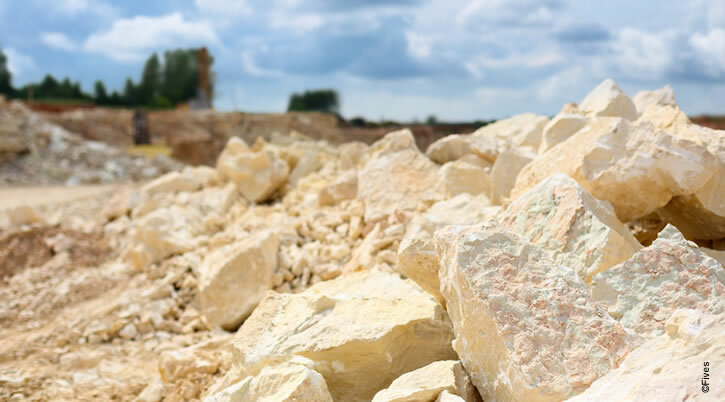 Lime is one of the minerals most used since the industrial era with applications that can be found in construction, desulphurization, production of glass, paper, cement and steel for instance. Combustion quality in the rotary kiln has a direct influence on lime reactivity, which is an extremely important parameter for every lime producer. Fives designs tailor-made solutions for firing limestone in kilns, ensuring the appropriate temperature control whilst reducing fuel costs. The Pillard range brings reliable solutions using lower cost fuels while maintaining high availability of the plant and improving lime quality. Fives supplies tailor-made solutions and ensures optimal performance and improved availability of the plant. Fives develops tailor-made kiln burners ensuring excellent flame stability and superior flame shaping ability using any conventional liquid, gaseous or pulverized fuel and also with solid alternative waste fuels, specifically designed for lime kilns. Fives has a world renowned expertise in fuel management systems, providing adapted solutions for the handling of any fuel type up to the firing point.